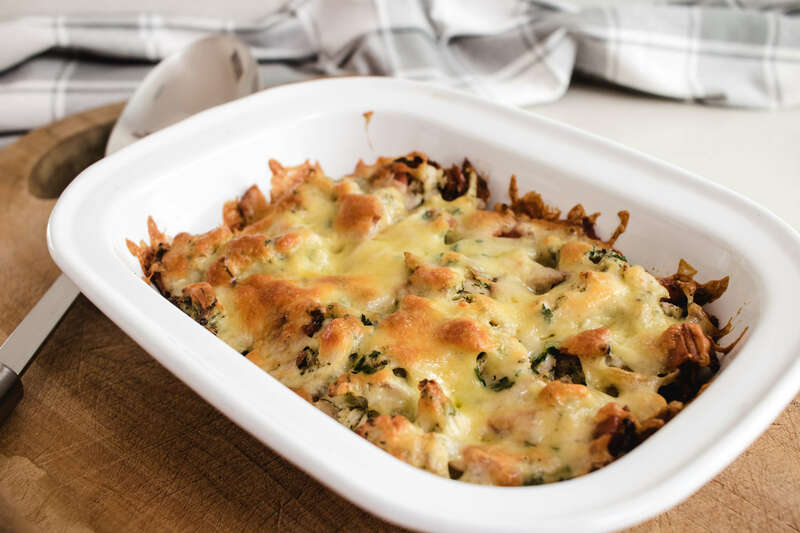 Keto chicken bake is one of those super simple and quick meals that is perfect for a weeknight dinner. You can prepare it the night before and just pop it in the oven when you get home from work. 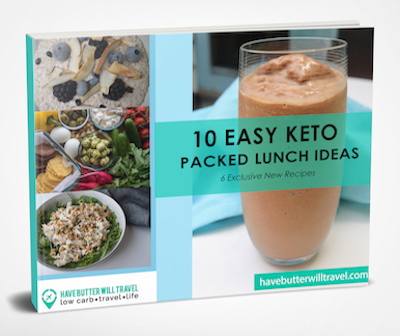 This is a sponsored post by Low Carb Emporium, Australia’s leading online shop for our favourite keto friendly products. All products recommended in this post are based on our personal favourites. 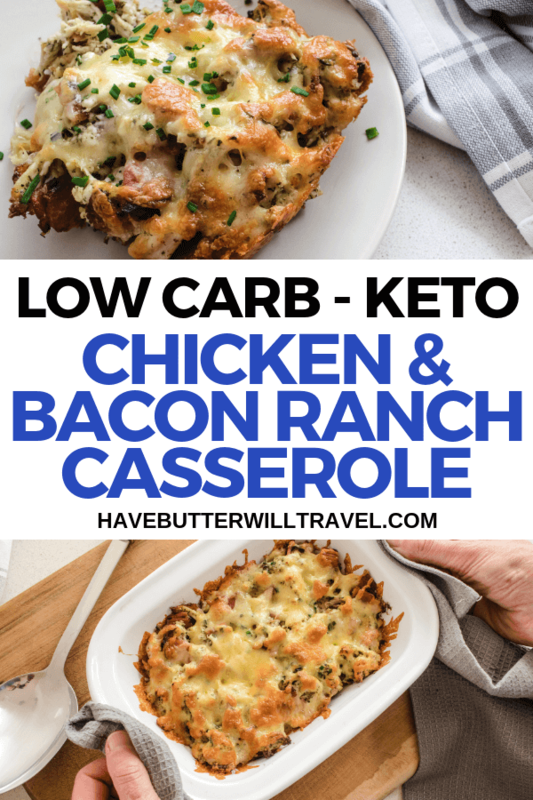 We love this keto chicken bake for it’s simplicity. We also love it as it’s a great dish to serve to our non keto friends and family. It was even a hit with our niece and nephew. 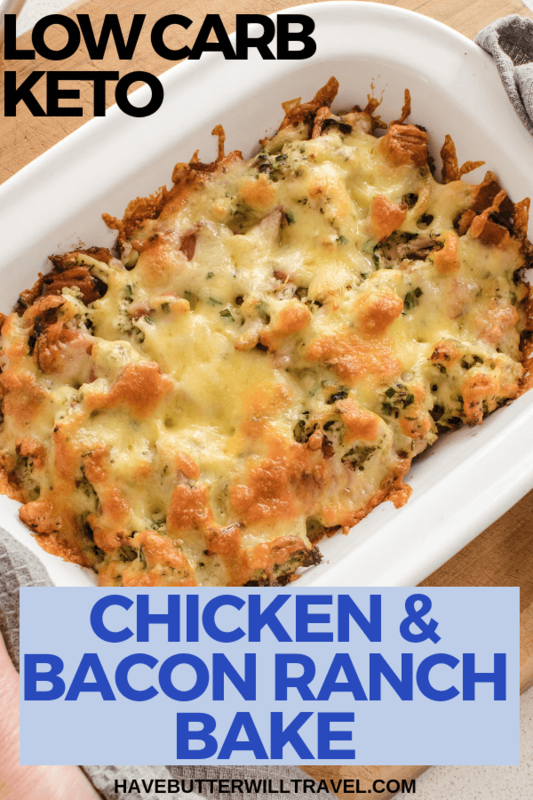 If you are trying to find great keto recipes to serve the whole family, add this to your list. A bake is otherwise known as a casserole in North America. In Australia, casserole is something entirely different to this. We would usually call a stew a casserole. It would be something that is cooked for a long time in a slow cooker or the oven. 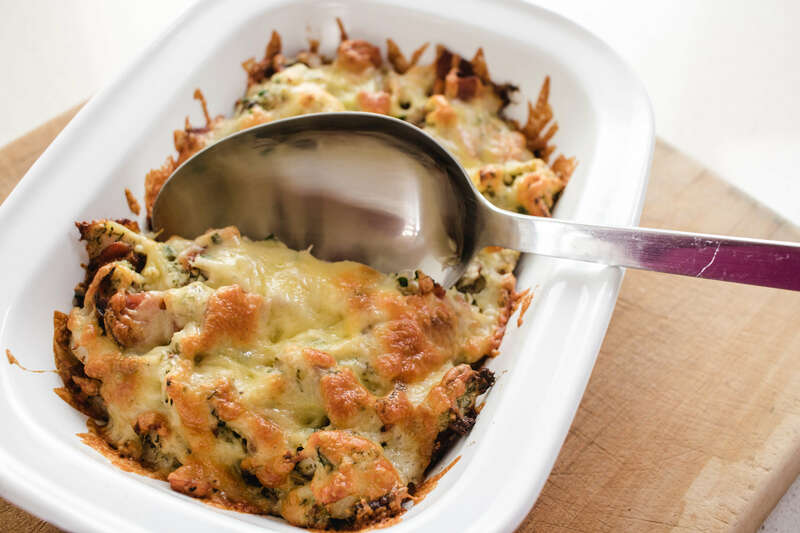 Since we started our keto journey and began searching for keto recipes we discovered that in North America this Keto chicken bake dish would be called a casserole. We have seen lots of recipes for keto breakfast casserole and were a little confused at first. We are so lucky here in Australia to be able to get a ranch seasoning without any sugar or filler ingredients. I have been looking for a clean ranch seasoning for our North American friends to use. The cleanest option I could find was to make a batch up at home yourself. 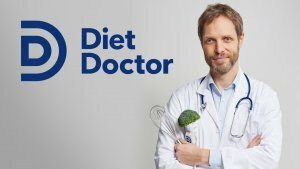 Here’s a good option from Diet Doctor. We first found Mingle Seasonings at La Manna Supermarket in Essendon. Since then we are so happy that our favourite online low carb store, Low Carb Emporium now stock them. Their seasoning blends only use herbs and spices with no fillers and no sugar. We love to use them to to season our steak, chicken wings, hamburgers and roasting vegetables. Using a BBQ chicken is what makes this recipe so easy. We love to shred some BBQ chickens from the supermarket and portion it up and store in the freezer. It makes for an easy lunch mixed in with some mayo to make some chicken salad. Low Carb Emporium is the premium online low carb website in Australia. 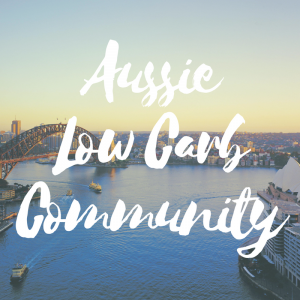 They launched in October 2017 and have grown to be the stockists of the best low carb products Australia has to offer. We love Low Carb Emporium and place an order with them every couple of months. Although at the moment it feels like we are ordering more like every couple of weeks. Jack and Yvonne have gone from shipping products out of their garage to now needing a warehouse to distribute all our favourite products. We were lucky enough to be invited to check out their new premises and were impressed by all the wonderful products they have in stock now. 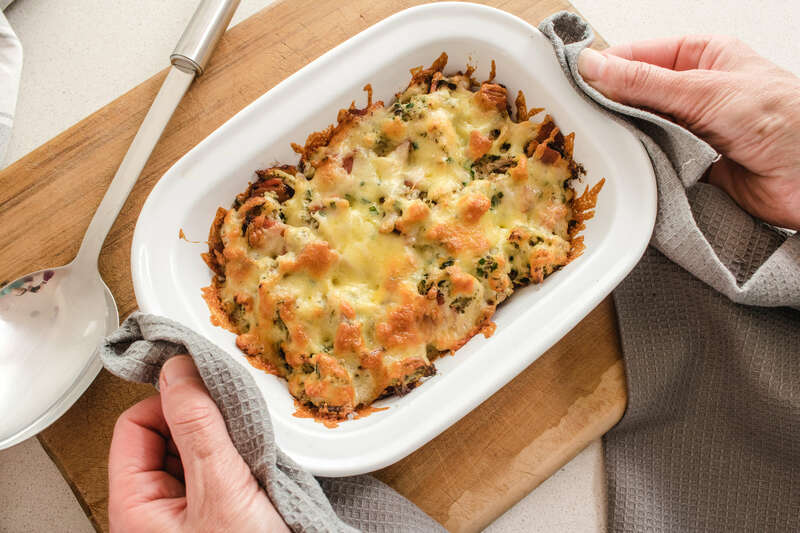 This keto chicken bake recipe is part of our keto basics challenge. 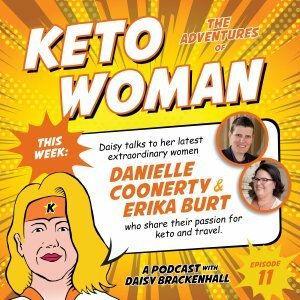 On the 1st of January 2019 we launched our keto basics challenge. After Christmas we decided we needed a challenge to start the year off with a keto bang! 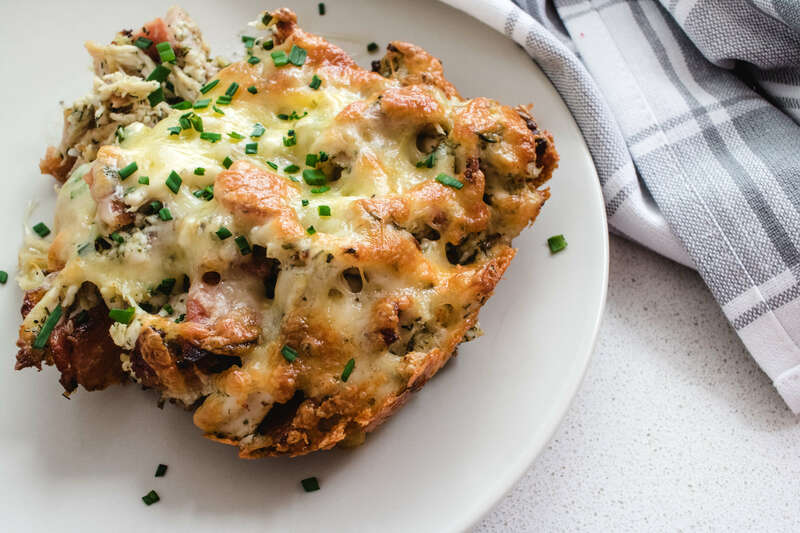 This keto chicken bake is the perfect weeknight keto dinner. It is super quick and easy to make and will please the whole family. In a frying pan, cook the bacon until crispy. In a bowl, combine the chicken, bacon, ranch seasoning and sour cream and stir until all ingredients are combined and the chicken is coated. Place the baking dish in the oven and cook for 20 mins or until cheese is golden. This is probably my favorite keto recipe. It’s so quick and easy. I make sure I always have the ingredients on hand and it’s a perfect week night dinner. I buy two chickens and double the recipe when I make this one to serve the whole family, and then they all get the chicken legs and wings cold for lunch! I serve it with zucchini zoodles which I fry up in the pan that I’ve cooked the bacon in! Yum! Delish! Even my non-Keto family ate without causing a fuss (especially my husband)! This will be added to my regular rotation. Always great to find recipes that please the whole family.